For 4th grader Matthew Zoloom, music is more than just an interest, it’s a way of life! 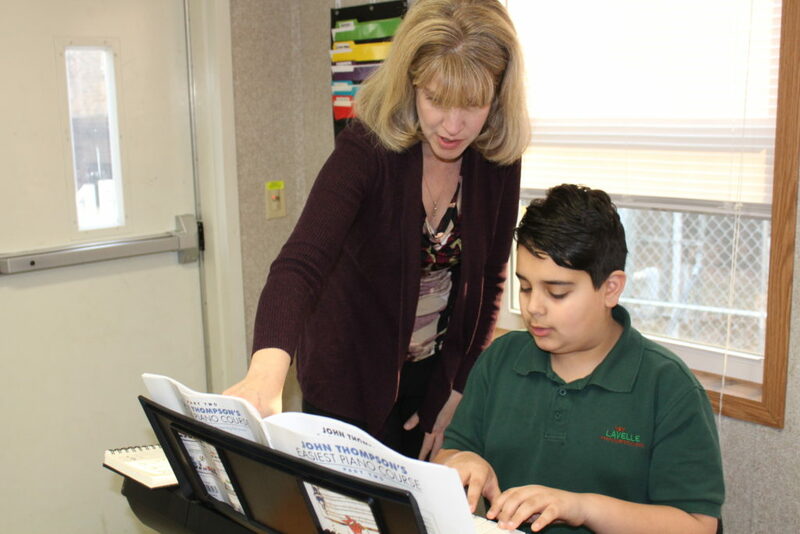 For the past few months, Matthew has been taking private music lessons with his Lavelle Prep elementary school music teacher, Ms. Jessica Bruschi. Since he began his piano lessons, Matthew has been practicing and perfecting as often as he can. Matthew, an ardent appreciator of music, was inspired to pick up the piano to make his dad proud. “My dad never got to practice the piano but he is able to read music,” shares Matthew, “He wanted to play when he was younger and I wanted to learn to play too.” This holiday season, Matthew received a keyboard from his family and his dedication to playing piano grew stronger. Matthew practices during his homeroom period, his lunch period, and now when he goes home as well! Most recently, Matthew surprised his music teacher by sharing his own handwritten music composition inspired by The Wizard of Oz. 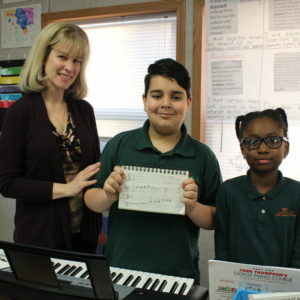 “Music actually helped me in different subjects.” Matthew stated, “Like in math because music reminds me of a pattern with notes and in ELA because music is just like language.” We are so proud of his success and we can not wait to see more from this young musical genius!